Tolo News: Afghanistan Chamber of Commerce and Industries (ACCI) says Iran was Afghanistan’s biggest trade partner in the last solar year – March 2017 to 21 March 2018 – and exported goods to the value of over $1.98 billion USD. The ACCI said trade volume between Afghanistan and Pakistan was $1.2 billion USD in the same time, and $1 billion USD with China. “Now Iran is our biggest (trade) partner,” ACCI deputy chief Khan Jan Alokozay told TOLOnews. Click here to read more (external link). After almost two decades of extreme savageries, all of a sudden, you are coming into the realiziation that you actually might need extra inputs from Iran. All after shutting down sthe doors against Pakistan . 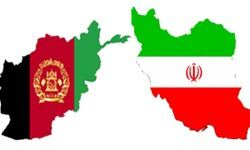 ARE YOU SERIOUSLY TRYING TO LURE IRANIANS TO BE USED AS YOUR GATE KERPER ON THE WESTERN FRONTS OF AFGHANISTAN ????? *YOU ARE TRUELLY GENIUS ! IRANIAN POLITICS BY NOW ! sing it like in the cotton fields of Alabama. Better, let it go ! Incidentally; most Iranian trains thought trains might be very malleable to your cultural sensitivities and suggestions, in regards Iranian Wester-oriented Iranian- after all; thanks to five hundreds of indoctrination of most populatio on north-west Iran before 1979 revolution. ; albeit, long-forgotten, potential force.